Charissa tagged me in an awesome survey recently and I was excited to have the chance to sit down and answer these questions (thanks, Charissa!). You can read Charissa’s answers here in case you missed her post. 1. Would you rather run along a beach path or mountain trail? I prefer the beach. It would be amazing to live near the water one day! I love my G2 Raspberry Lemonade. 3. If I gave you a $100 gift card to a running store, what would you purchase with it? Shoes of course. The most essential part of running! 4. 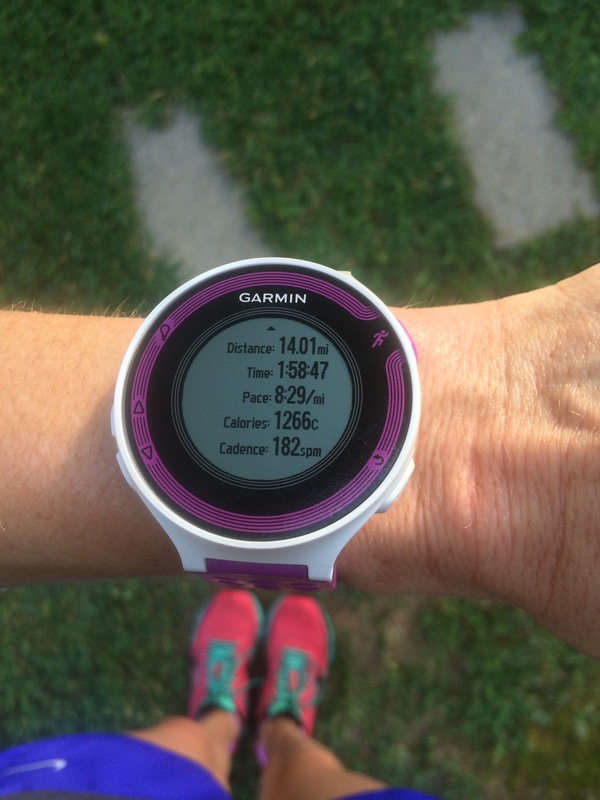 Do you prefer to follow a training plan or wake up and then decide how far and how fast you want to run? That kind of depends. I like the structure that a training plan provides. I can mentally prepare for each run and know what lies ahead, but at the same time that can make running feel like more of a chore. So I guess I prefer to wing it based upon how I feel that day though I would probably never wake up and think how amazing it would be to run 20+ miles that particular day. 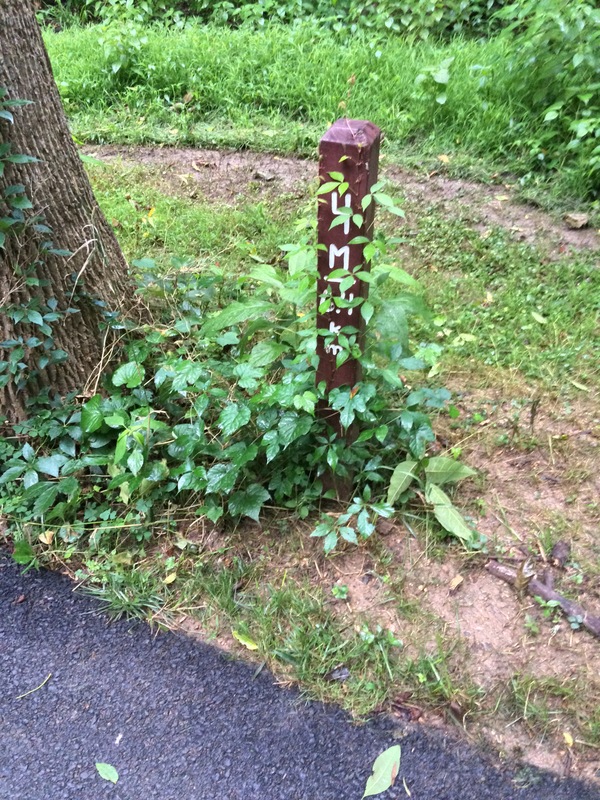 I would rather start uphill. I love sprinting downhill at the end of my run. I love my Orange Theory workouts. 7. What is your preference—>out and back, point to point, or loop runs? I like point to point, but that’s difficult unless you are running a race. So on a normal day I like loop runs. 8. If you could recommend ANY running related item to a new runner it would be…? I’m going to agree with Charissa here and say running shoes. 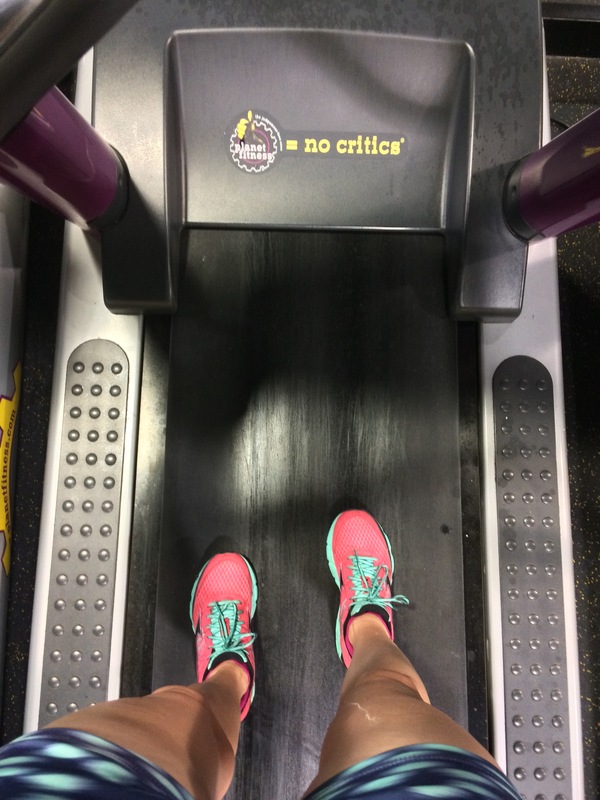 It’s so important for a new runner to get fitted at a running store and to run in the right shoe. Otherwise, injuries are more likely to happen. 9. Do you see any wild animals while out on your runs? Mostly just deer, rabbits and squirrels. If I don’t have a specific route planned out I may try to mix things up with a few different turns, but I usually have a good general idea of where I am. Thankfully if I were to get lost I have an iPhone. 11. If you could have one meal waiting and ready for you each time you got home from a run for the next 30 days…what would it be? My mom’s lasagna is amazing! 12. Capris or shorts? What do you run in most? I prefer to wear shorts as long as I possibly can. I would say that it usually takes me about a mile to get warmed up. It’s usually either in a pocket or in the holder that I use for my phone. 15. If you could relive any race that you have done in the past, which one? The Baltimore Marathon was such a wonderful experience and my first marathon. I loved it! 16. What type of run is your least favorite? Maybe a tempo run? It really just depends upon the day. 17. 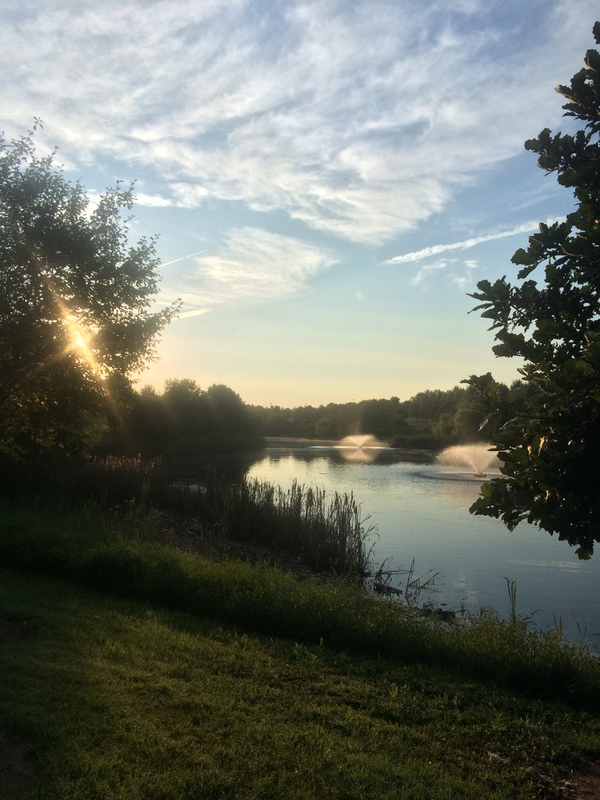 When you go for a run, do you leave from your front door or drive somewhere to start? I usually go from my front door because it’s easier, but I like to drive somewhere too for a change of scenery. 18. 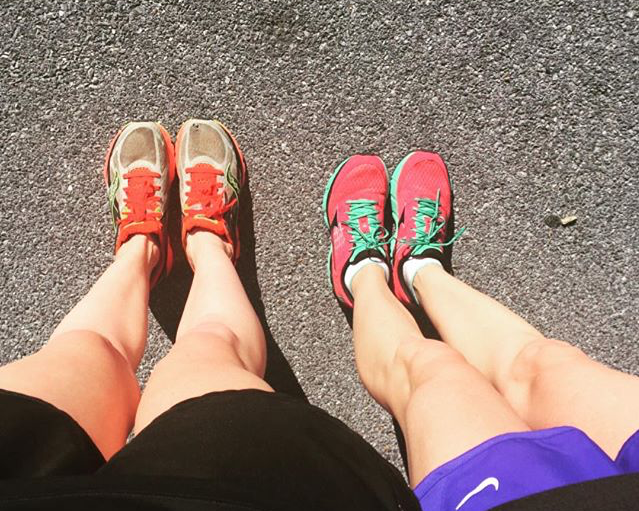 When running in daylight, are sunglasses a must or an annoyance? I don’t think that I could run with sunglasses. I feel like they would really annoy me, although I’ve thought about getting pair a time or two. 19. When you get tired, what keeps you from quitting? Getting back home to my little family. 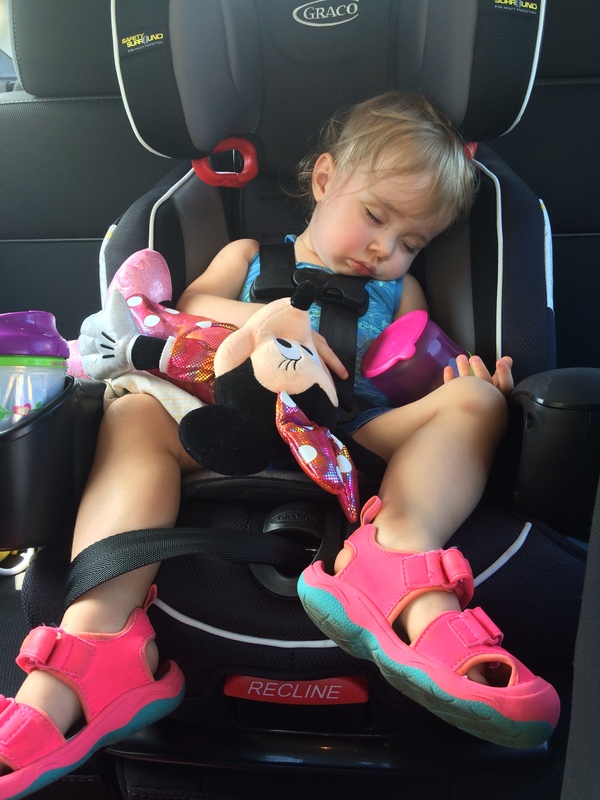 I’m linking up with Holly @ HoHo Runs & Tricia @ MissSippiPiddlin for the Weekly Wrap. The first week at my new job went pretty well. It’s been an adjustment getting up even more ridiculously early than normal so that I have enough time to run and shower before work, but it hasn’t been as difficult as I feared. 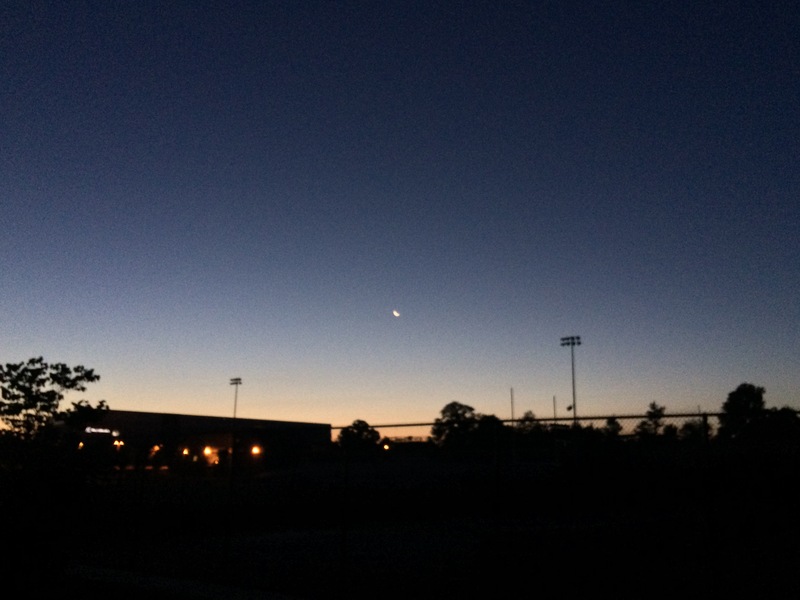 Other than being tired, it’s actually pretty nice to have my run done early and it’s a great way to begin the day. Maybe I should’ve started this sooner? Monday: rest day/First day at the new job! All my early week day runs will likely be on the treadmill since it’s just too dark and not entirely safe at that hour. 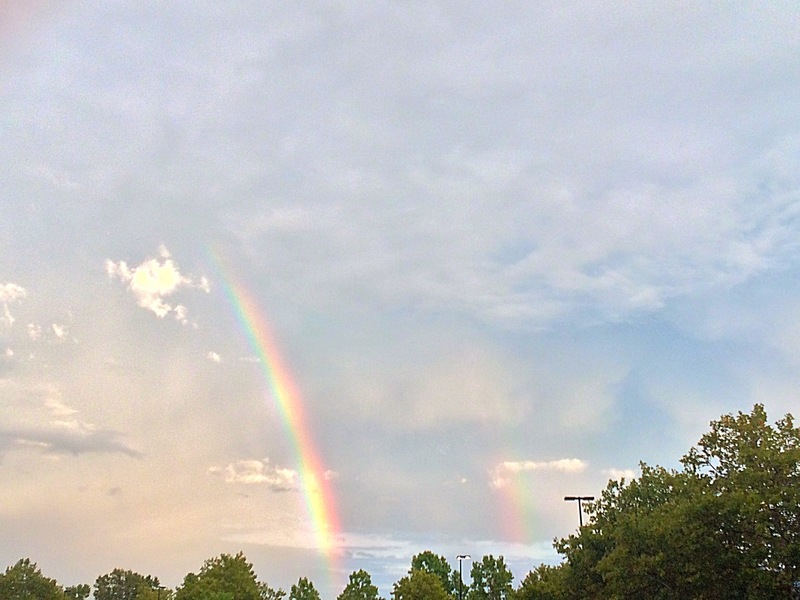 We got a little soggy from the rain, but the resulting double rainbow was amazing. We went to the fair later on in the morning which was nice because it wasn’t too crowded yet. I love fair lemonade and Haylie enjoyed seeing all of the animals. 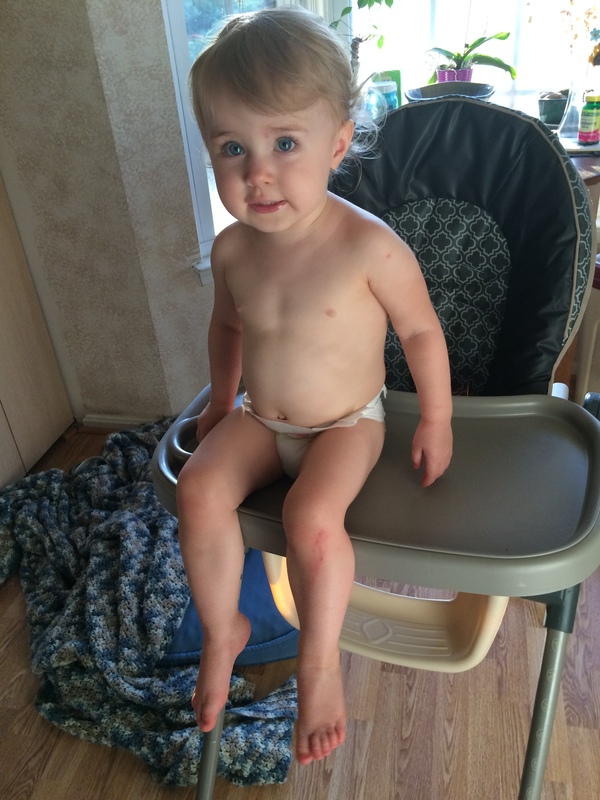 I don’t think this is the proper way to sit in a high chair. 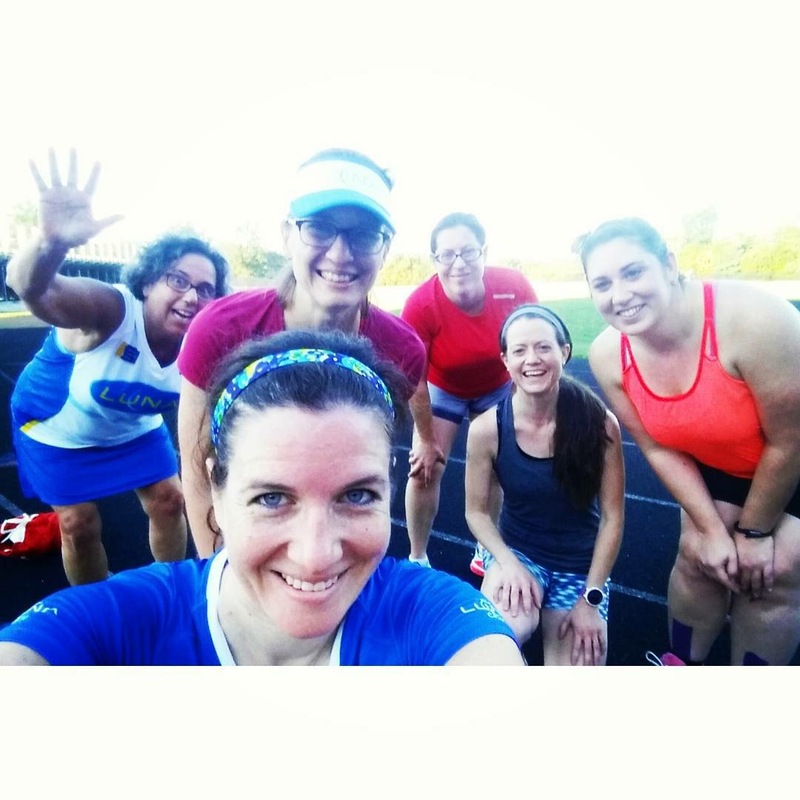 I met up with a girl from my Fleet Feet running group. She is faster than me, but I kept up with her as long as I could. It’s awesome to have someone pushing you harder than you would normally push yourself. Overall this way a really good run. It was a bit slower than I had hoped for, but I’m trying to focus on the positive aspects instead. Physically I felt great which is huge. Also I didn’t have any intestinal problems or cramping which is also huge and was a big concern after my terrible 18 miler a few weeks ago. I’m as ready as I’m going to be for my marathon, so now we taper. I was pretty sore from yesterday’s long run so this may not have been the best idea. I was pretty glad when it was over and I normally love Orange Theory. Tomorrow will be a much needed and well-earned rest day. 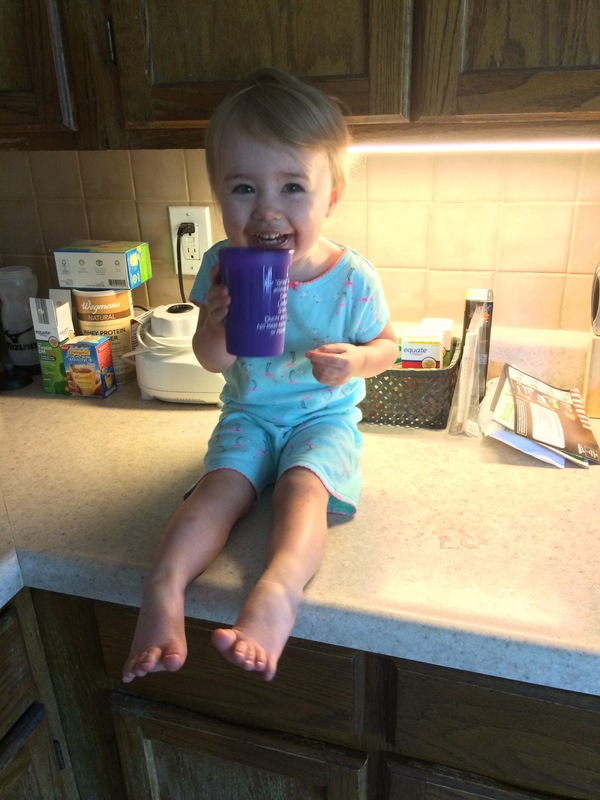 Someone figured out that my breakfast smoothies are delicious, so I had to share. What was the favorite part of your week/weekend? If you would like to help me reach my fundraising goal for Girls on the Run, I’m including the link below. Every little bit helps and would be greatly appreciated! Thank you in advance! It’s the Friday Five with: Cynthia, Mar, and Courtney today! Today’s topic is 5 Things I’ll be Doing in 5 Years. This topic made me laugh because I had this year of my life all planned out and I had to watch as that plan totally fell apart. So I’ve been striving every day to live in the moment and not worry about the future. That’s a task that is easier said than done, but ultimately I do have long-term goals that I can share. 1. Mother of 2- Yes, I would like to have one more child in the next 5 years and then I’m done. I’m going to tap out at 2. 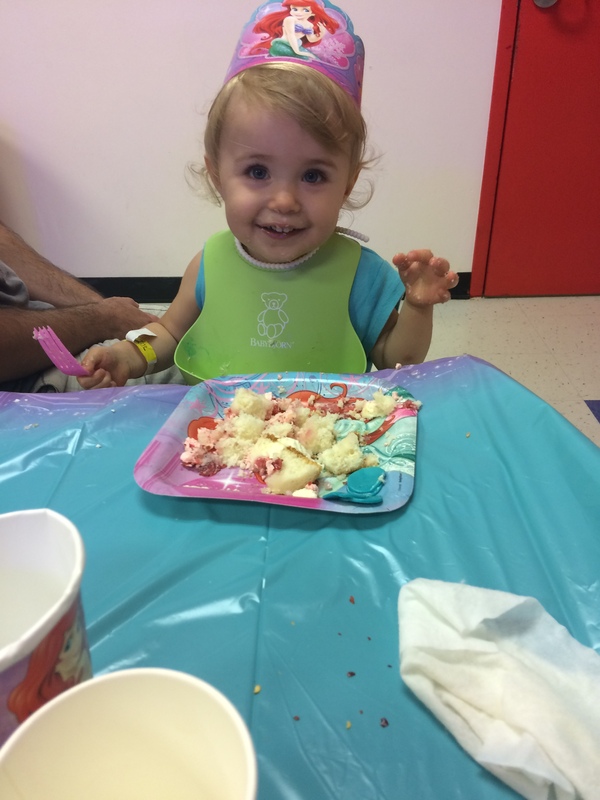 Being a parent is simultaneously one of the most wonderful and difficult things that I’ve ever done. I think it would be great for Haylie to have a sibling, but I’m also trying not to stress myself out over it. 2. Travel- I would love to travel some more. My husband has been wonderful at helping me fulfill my dreams and see some amazing places. I’ve always said that if I were independently wealthy I would travel the world. Next on my wish list is Venice. A girl can dream right? 3. Moving- I wouldn’t mind moving to a slightly larger house some time in the next 5 years, especially if we do have a new addition. At the same time, our little town house is nice and cozy. 4. Job- I just want a stable job that makes me happy, as I’m sure everyone does. That is certainly not easy to find in this industry, but I really don’t like being unhappy at work when I spend so much of my time there. That time is precious, and could be spent with my daughter who is already growing up way too fast. 5. 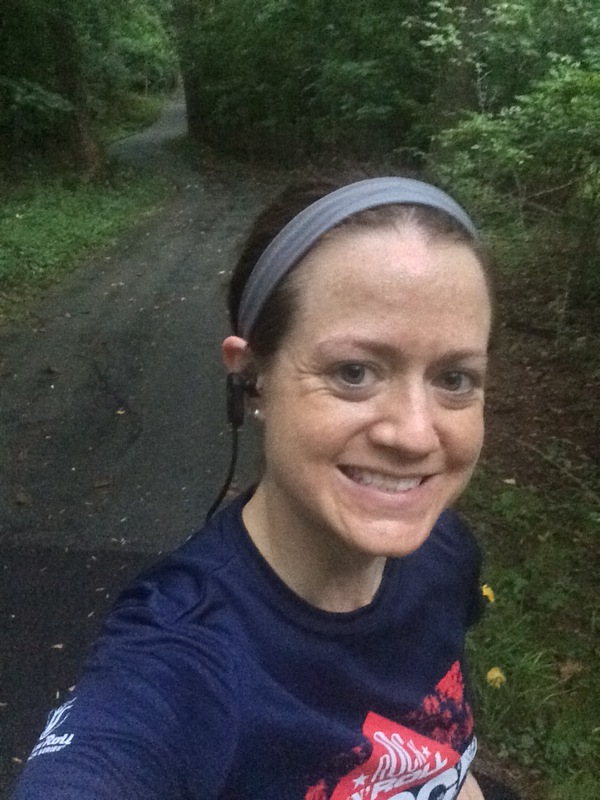 Running- I really want to BQ and then run Boston. That’s my dream. When I even think of what an amazing and emotional experience that would be it gives me chills. There you have it. I have no idea what I’ll actually be doing in 5 years, but I hope that I can accomplish at least some of these goals. What are you going to be doing in 5 years? 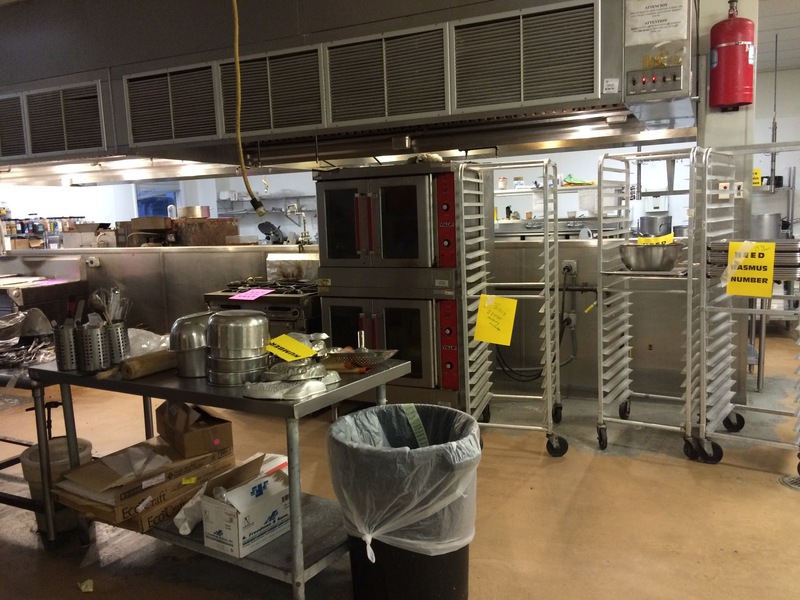 There are 5 locations in the DC area: Bethesda, Logan Circle, Kentlands, Mosaic and Cathedral Commons. I chose the Kentlands since it’s the closest to me and signed up for a 6am class with Christy. Online sign-up was pretty easy and your first class and shoe rental are both free. Once you register online the first class credit is automatically applied to your account. You pick which bike you want to use for the class. It didn’t really matter to me other than I was pretty sure that I didn’t want to be in the front of the class. I was greeted right away by a friendly staff member. She gave me shoes, showed me the lockers and then set up my bike. 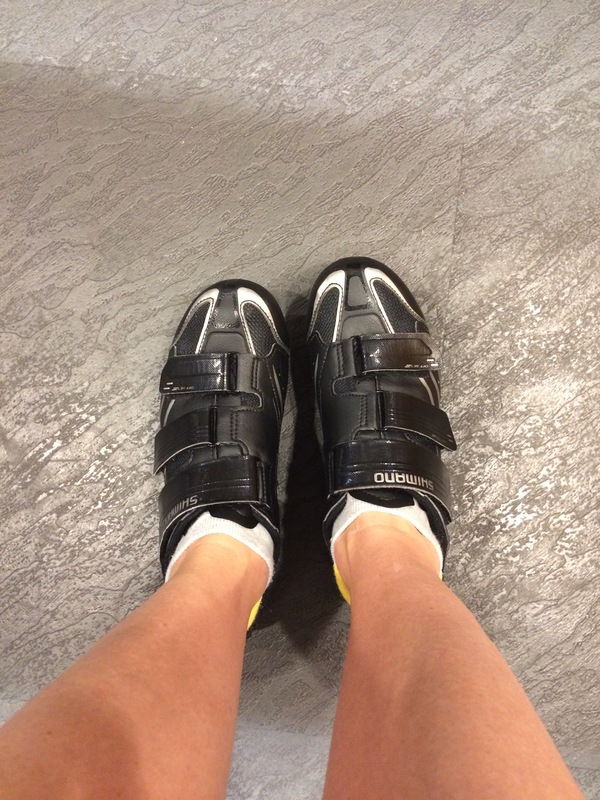 This was my first time in cycling shoes and they are so strange to walk in. I didn’t realize that the shoes click into the pedals. I was slightly terrified of getting injured during class because my hands got all sweaty. I could just picture my hands slipping and me face planting all while still attached to the bike. If anyone is going to get injured, it’s going to be me. Thankfully this didn’t happen. The room was dimly lit and the studio was filled with Schwinn Cycling bikes. Clip in shoes are a requirement. They rent the shoes for $3 per class after your initial free visit. I loved the atmosphere in the room especially with it being so early I really didn’t want to deal with bright light. There is a short arms circuit towards the end of the class using light weights. I could really feel the burn using only 2 pound weights! It was a great class and I really enjoyed it. I don’t know that I would go back just because the $22 per class is a little pricey for me, but if I got another chance to go for free I would be all about it. The music was absolutely awesome by the way. That might have been my favorite part of class. It was such a great mix of songs. I told my husband, when I got home, that I really wanted the instructors playlist. Also now I really want a new bike, but I should get my old one fixed up first so that I’m sure I will really use it. 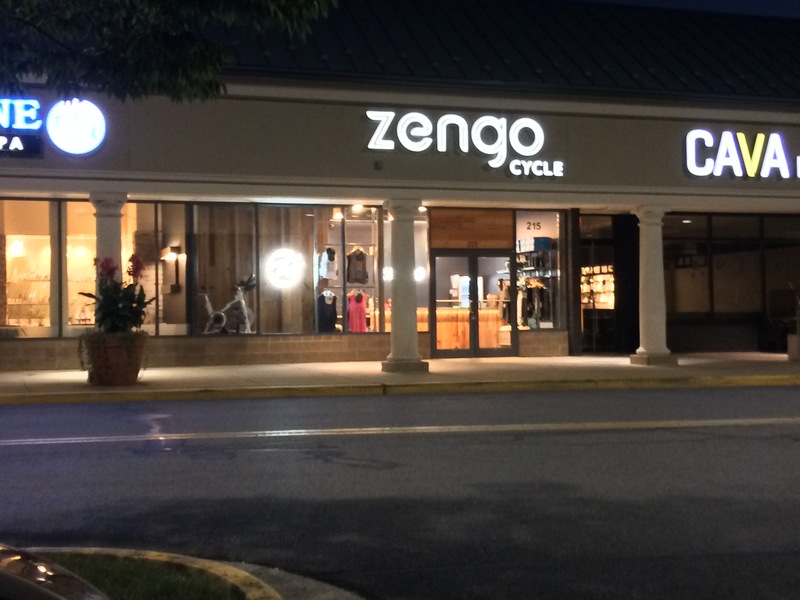 Have you tried Zengo Cycle? Don’t forget to check out my Freekeh giveaway! 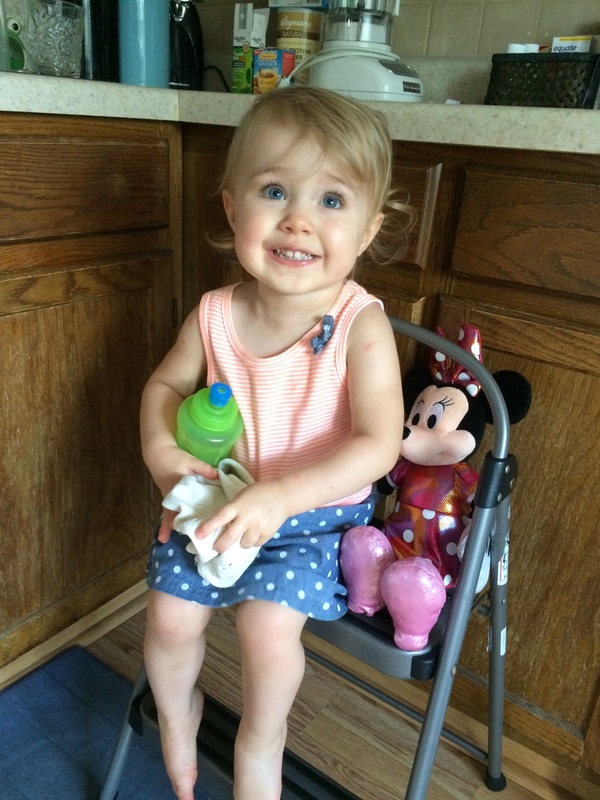 I’m linking up with Holly @ HoHo Runs & Tricia @ MissSippiPiddlin for the Weekly Wrap. Wow this week just flew by! My last day at my job was on Tuesday and then I start my new job as a pastry teaching assistant on Monday. 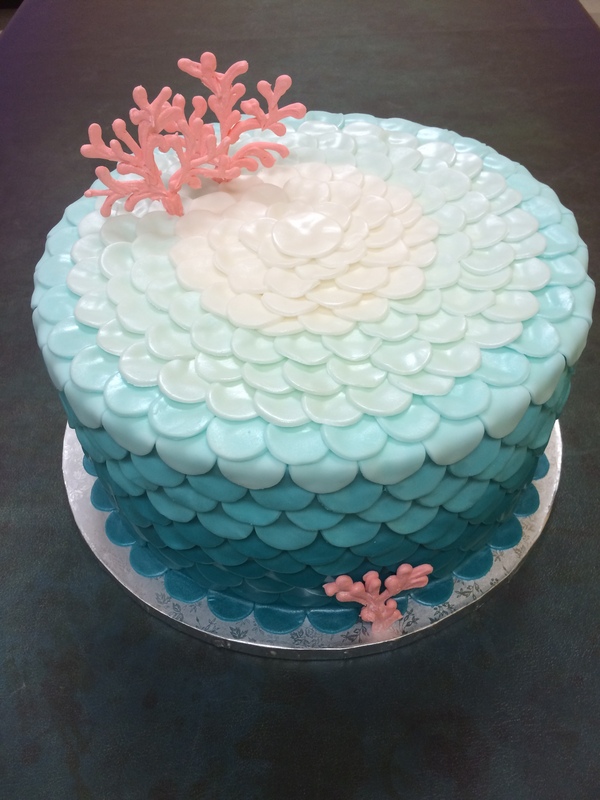 I was making a cake for my friend’s daughter’s birthday on Sunday so it was nice to have some time to work on that as well as get some extra workouts in. I’m going to keep this one short since I was so long-winded last week. I ran before work since it was supposed to rain in the afternoon. It was surprisingly humid already though. It was strange seeing everything looking so empty at work and for sale signs everywhere. This run felt much better than last week and I even remembered to charge my headphones. Hopefully I’m ready for next week’s 20-miler! It was also quite a nice night to sit outside and relax while Haylie played in the sprinkler. 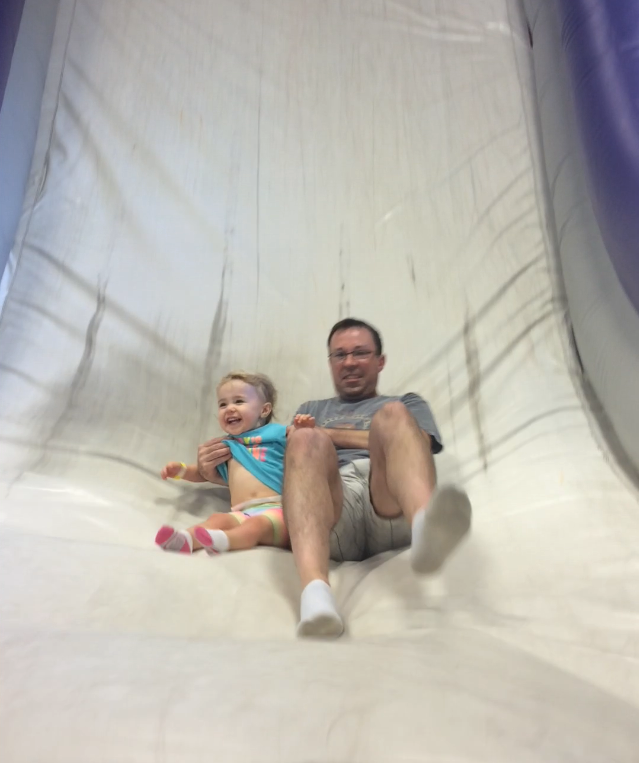 We went to the birthday party late in the morning at Bounce U. It was so much fun and a great place to have a party! Haylie really enjoyed all of the jumping. 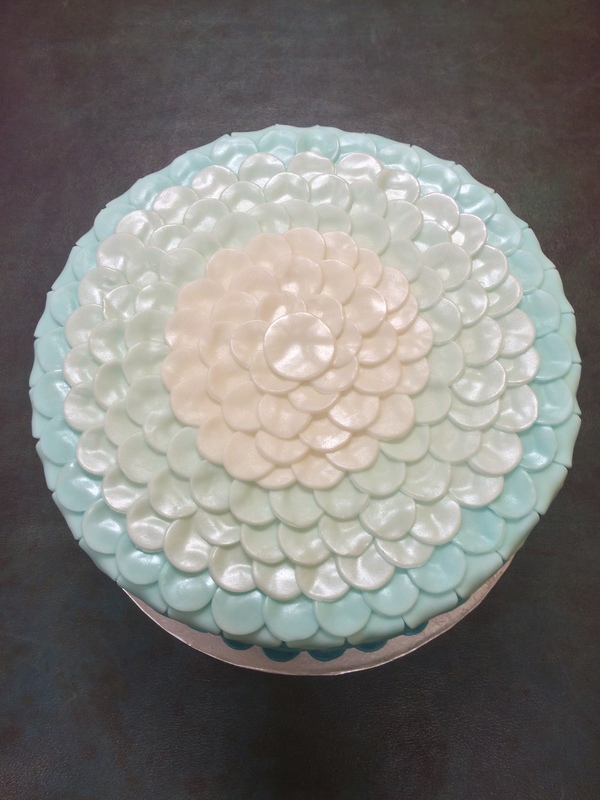 I was really pleased with how the cake turned out and it tasted great as well. I used my white cake recipe with fresh strawberries for the filling. Don’t forget to check out my Freekeh giveaway! Have a wonderful week! What are your favorite cake flavors? 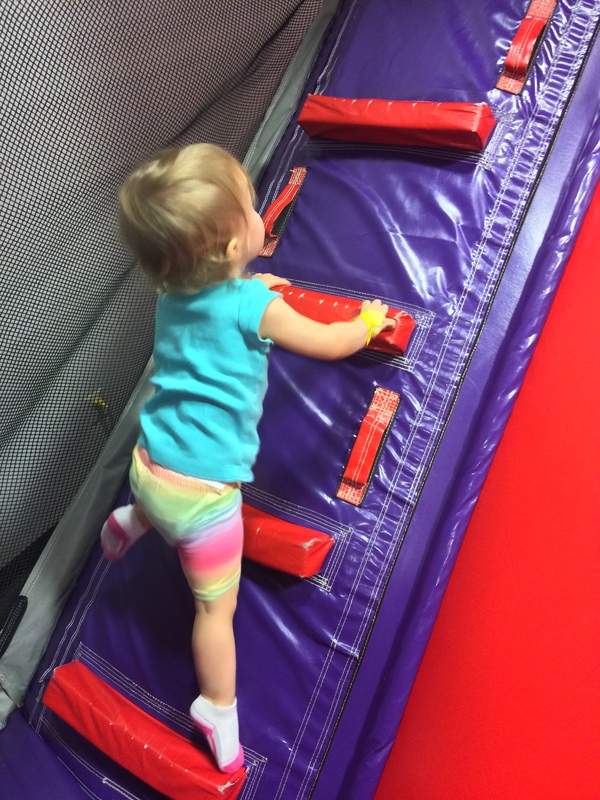 Have you been to a Bounce U party? 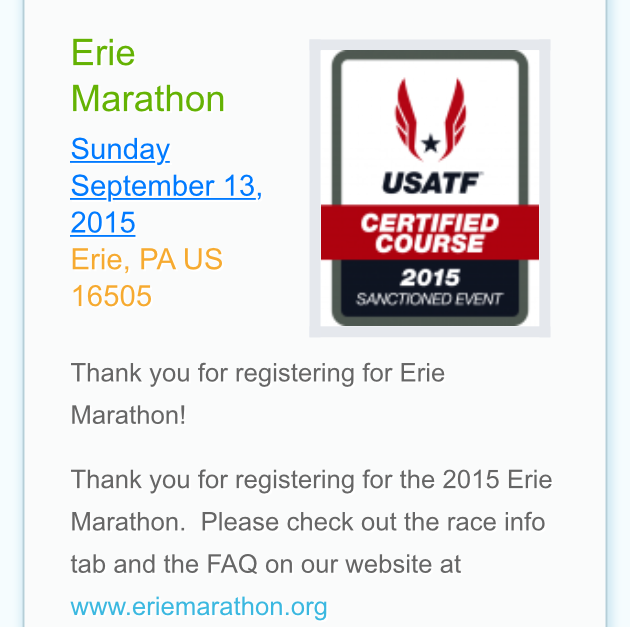 I figured that I should officially announce that I am training for my 2nd marathon. 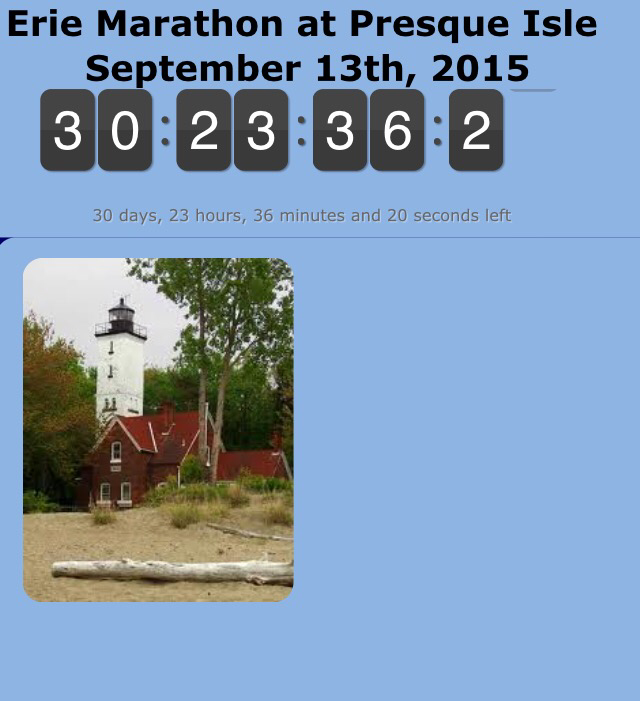 I have big goals for this race, but I don’t know if I’m quite there yet. Only time will tell. I recently read a quote that said “If your dreams don’t scare you, they aren’t big enough.” So I guess there is nothing wrong with having slightly terrifying goals. This was kind of a spur of the moment decision on my part so I didn’t really put as much time into training as I would have liked to. I’ve been training for Ragnar so I had a pretty good base to start with at least. I happened to be on Facebook one day and saw several people from back home posting about the half marathon. I wondered when the full was and when I checked it happened to be the day after my sister-in-law’s wedding. We will be in town for the wedding, plus I’m making the cake. I took it as a sign that I simply had to run in that race. My husband was concerned with me getting enough sleep, but who really gets a good night’s sleep before a race any way? It is only those who believe in their ability who shine when it matters. So I’m excited and terrified! 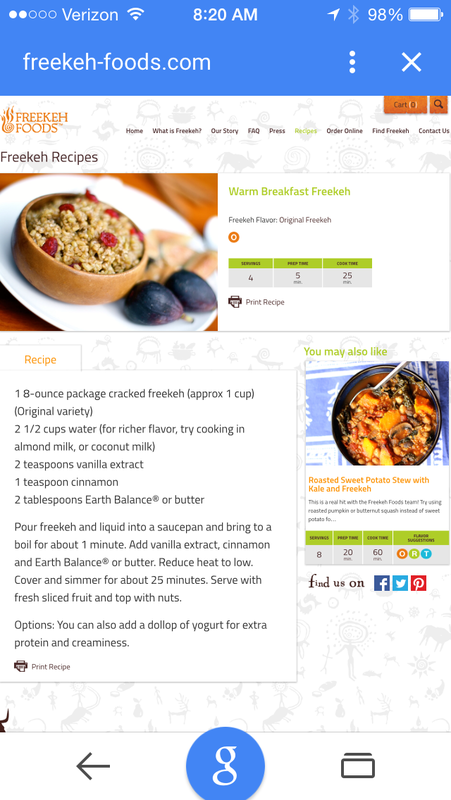 Warm Breakfast Freekeh Recipe – and Giveaway! I was pretty excited when Sweat Pink had this opportunity to participate with Freekeh Foods. I love to try new things! 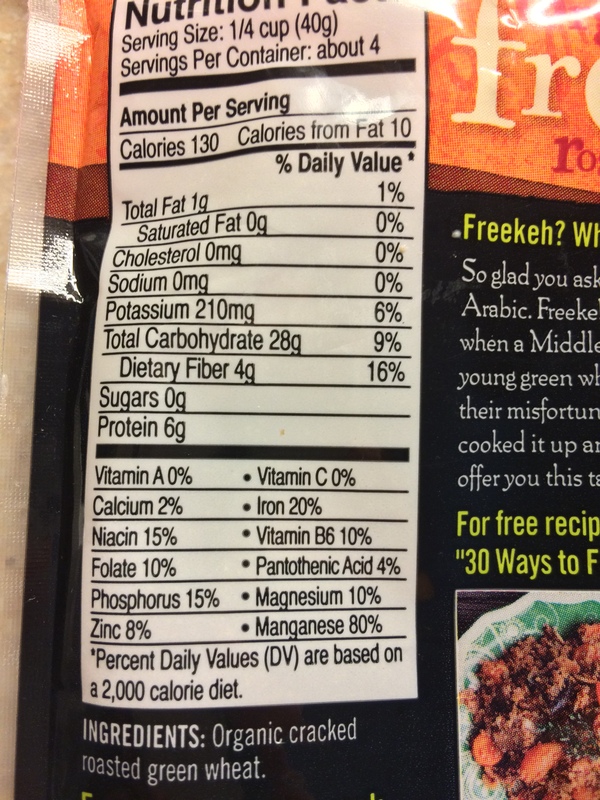 One serving of freekeh has 6 grams of protein and 4 grams of fiber. 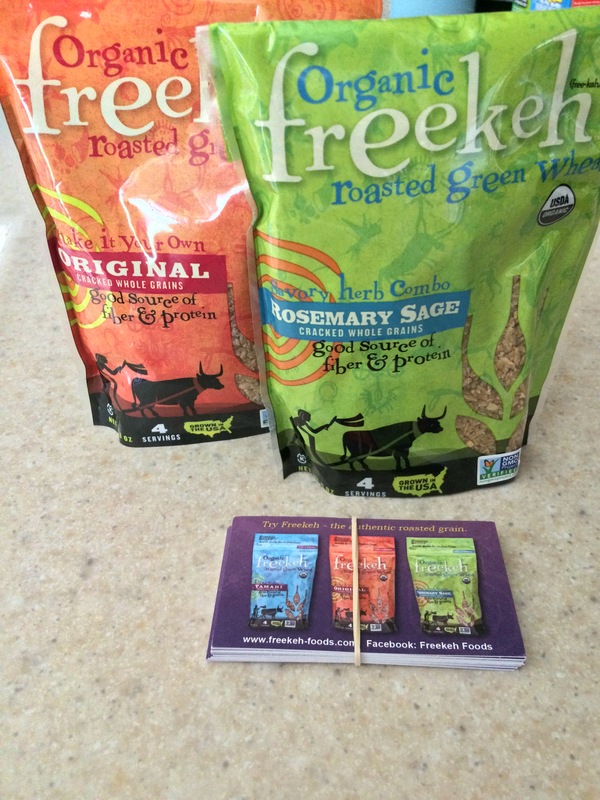 I received two packages of Freekeh to review, the original and rosemary sage. There is also a Tamari flavored one. You can do almost anything with Freekeh from having it for breakfast to soups and salads to stuffed peppers. They have several recipes listed on their website or you can just use your own creativity. I haven’t had a chance to try the rosemary sage one yet, but I think when I do I will try some version of the vegetarian stuffed pepper recipe. That’s right up my alley, being a vegetarian myself. So I decided to give the Original flavor a try first. I love breakfast foods, but I get up so early for work that I don’t really have the time or motivation to cook on week days. This is great for a weekend breakfast when you have a little more time since it does take about 25 minutes to cook. Luckily though once you get it started there’s not much to do but wait. 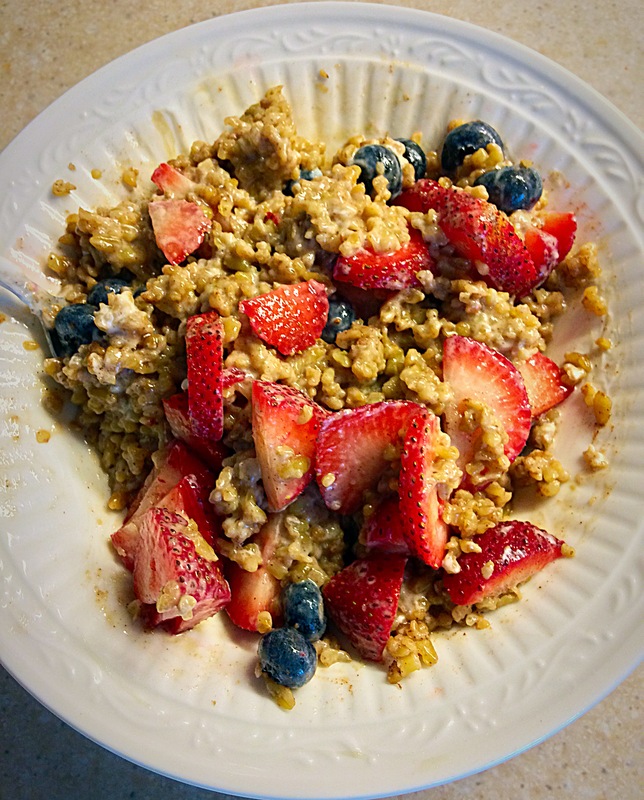 Of course there are many other ways that you could utilize the original flavor, I decided to go with the warm breakfast freekeh. 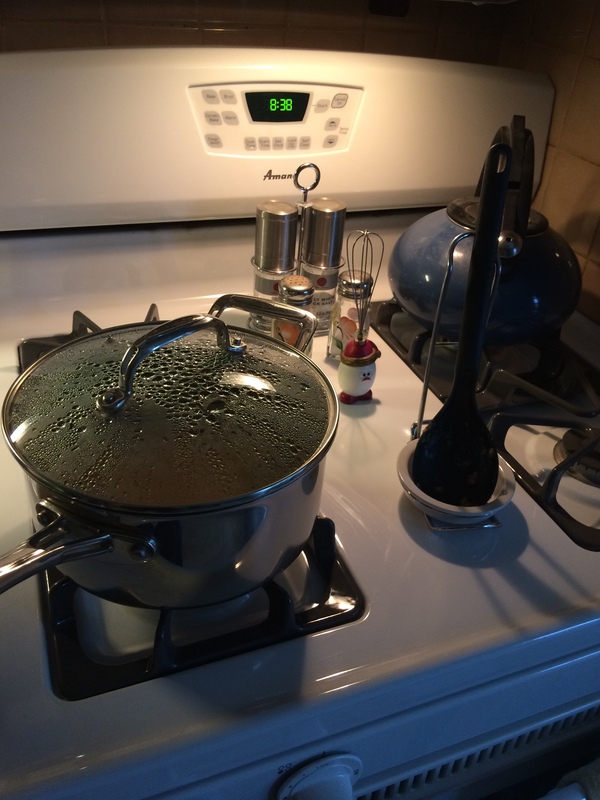 It was nice and easy to prepare, only requiring water, vanilla, cinnamon and butter. I decided to use almond milk in place of the water for a richer flavor. 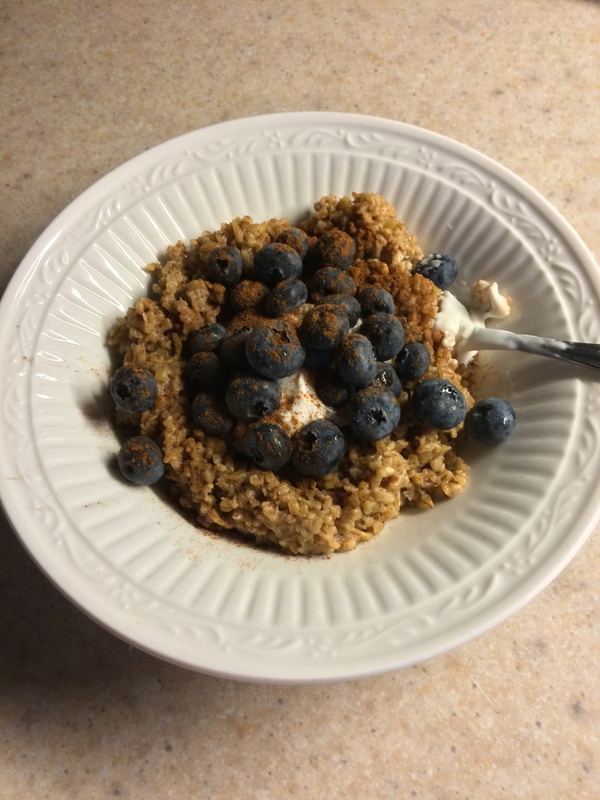 Once it was done I added some Greek yogurt for some extra protein and creaminess as well as some blueberries. 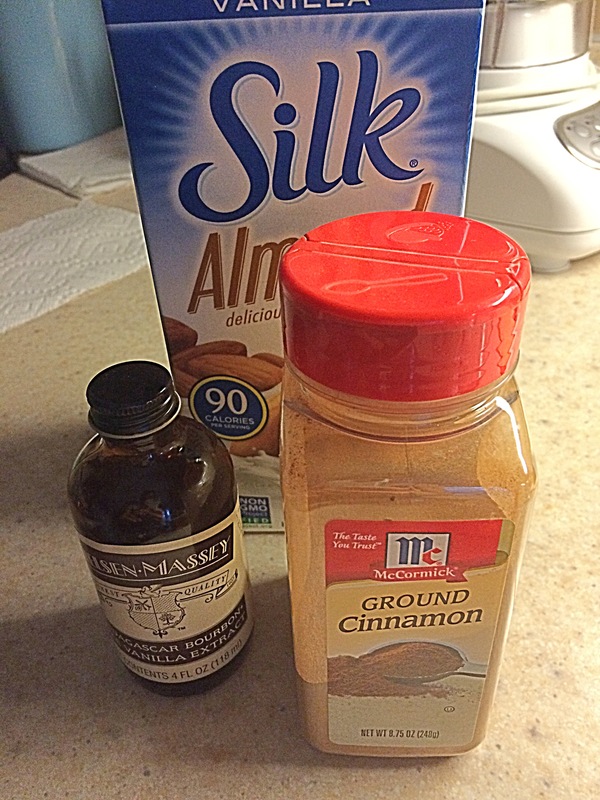 I also sprinkled a little extra cinnamon on top because I can never get enough cinnamon. I enjoyed this yummy breakfast treat. It was a nice hearty meal so that I didn’t get hungry again right away. 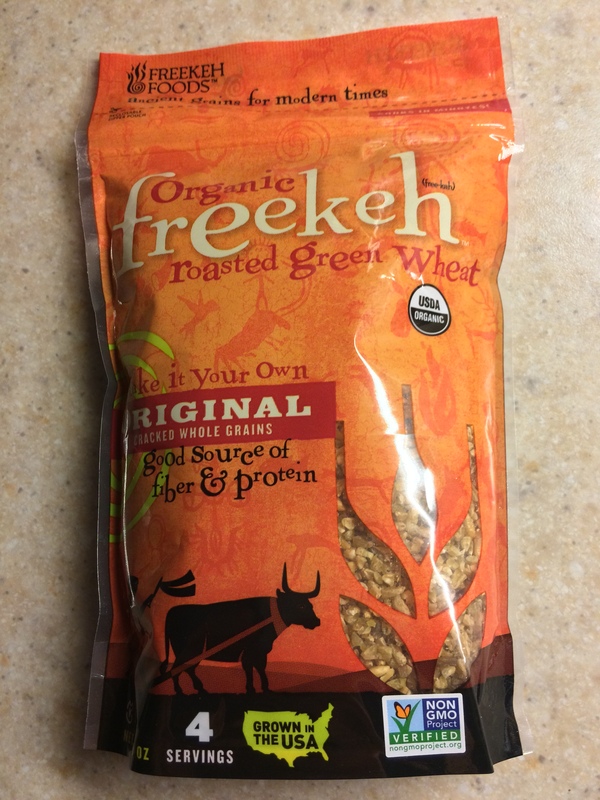 I love that there is so much that you can with Freekeh. I actually had a lot leftover so I enjoyed it for breakfast again the next after my long run. I just reheated it with more almond milk then I added some brown sugar, Greek yogurt, blueberries, strawberries and more cinnamon. It was even more delicious the second time around! My daughter liked it too. So…. do YOU want to try some freekeh? I’m having a giveaway so one lucky reader can win! A winner will be chosen at random on August 28, 2015. So go ahead and enter to win your chance to try Freekeh foods! 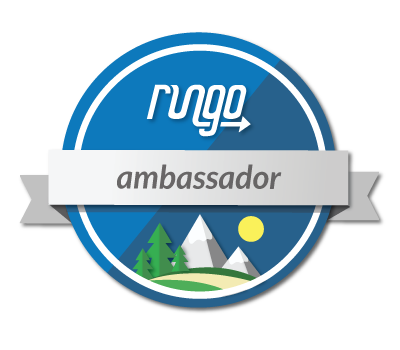 I was selected for this opportunity as a Sweat Pink ambassador and the content and opinions expressed here are all my own.